Tommy Nobis, the first player drafted by the expansion Atlanta Falcons and a hard-hitting middle linebacker who was never fully recognized for his talents on a struggling franchise that failed to make the playoffs during his long career, died Wednesday, the Associated Press reports. He was 74. The team said he died at his suburban Atlanta home after an extended illness with his wife, Lynn, at his side. Nobis was among hundreds of ex-NFL players who struggled with physical and cognitive ailments after their careers ended, having played in an era when no one paid much attention to the long-term impact of concussions nor thought twice about groggily going back on the field after taking a shot to the head. When the Falcons reached the Super Bowl last season, his wife told the Houston Chronicle that she wasn’t sure if Nobis had any idea what his former team had accomplished. A native of San Antonio, Nobis starred on both sides of the line at the University of Texas and, despite being slowed by a knee injury during his senior season, he won the Maxwell Award as the best all-around player in college football and the Outland Trophy as the top lineman. He finished seventh in the Heisman Trophy balloting — the top finisher among those who played defense — and appeared on the cover of Life and Sports Illustrated. “The best defender in college football,” SI declared. He was drafted first overall by the Falcons and also picked by his home-state Houston Oilers of the American Football League, leading to a spirited bidding war that drew interest as far away as outer space. While orbiting the Earth in his Gemini spacecraft, astronaut Frank Borman — whose two sons were ball boys for the Oilers — urged Nobis to sign with Houston. “I hope he comes here,” Borman said as his spaceship flew over Houston during its 59th orbit. Nobis wound up signing with Atlanta, becoming the first player in franchise history and a beloved figure would forever be known as “Mr. 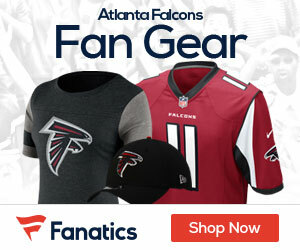 Falcon.” He earned NFL rookie of the year honors and the first of five Pro Bowl berths in 1966, and would go on to spend his entire 11-year career with the Falcons. His No. 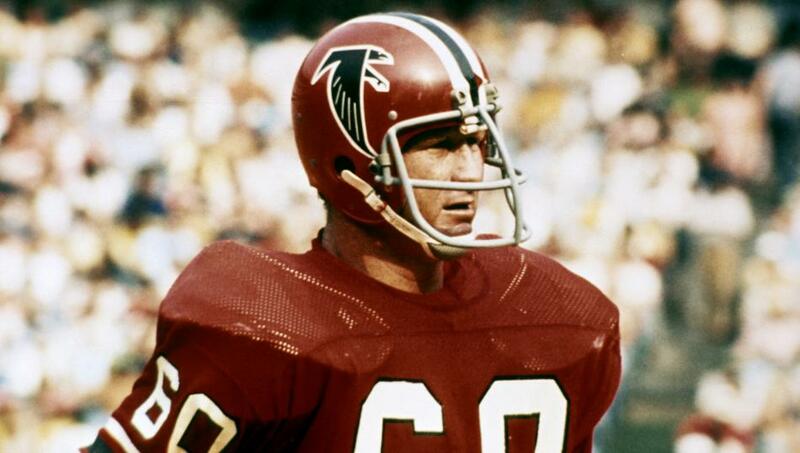 60 has never been worn by any other Atlanta player, and he was among the initial inductees into the team’s “Ring of Honor” in 2004. As a rookie, Nobis was credited unofficially with a staggering 296 solo and assisted tackles — an average of more than 21 per game. It remains the franchise record, and he would lead the team in tackles a total of nine times. The only exceptions were the 1969 and ’71 seasons when injuries limited him to a total of nine games. Nobis also had 12 interceptions in his career, returning two of them for touchdowns. After his playing days were over, Nobis had a long career in the Falcons front office and also became well known in the Atlanta area for running a charitable organization that provided job training to people with disabilities.